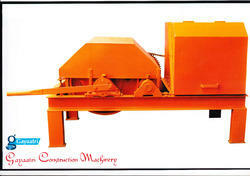 Our company is involved in the manufacture, supply, export and wholesaling of Winch Machine. These are electrical operated applications and are easy to use. These are available in various Size. These have high tensile strength and are easy to maintain. In addition to this these machines are powerful and are produced from good quality material which is procured by our trusted and reliable vendors. 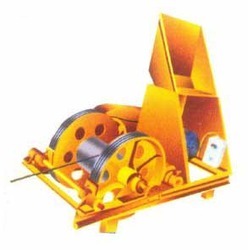 Our company is the renowned manufacturer, supplier, exporter and wholesaler of Winch Tower Hoist which are mainly used to lift materials at the construction site. Available in mesmerizing ranges and specifications, these Tower Hoists are manufactured from supreme quality of material and undergo fabulous finishing as per the industry parameters. These Winch Tower Hoists have amazing loading capacity of 1000 kg gross and have wire rope. Speed: 30 meters but can also be designed according to the specification requirement. Drive: Friction roller type with self-aligning bearing. Chasis: Heavy duty robusts made out of heavy steel section. Wire Rope: Heavy duty (12 mm) steel core wire rope. Looking for Material Lift ?